Coffee soothes the tummy and puts the mind on full throttle. But, can it predict the future? Certainly. Coffee reading or specifically, Turkish coffee reading is a fortune telling method. And, the ones practicing it are called coffee readers. In more technical terms, this is called “tasseomancy”. Originating in the Middle East, it is now practiced all over the world, including India. Hardly a surprise, because we all love a peek a boo into the future. We at curious halt believe in asking questions right away to quench the curiosity inside us. So, without further ado, let’s enter the world of coffee readers and get our coffee cups read. How can coffee and fortune telling be related? Tasseomancy, is the study of symbols or signs in teacups or coffee cups. 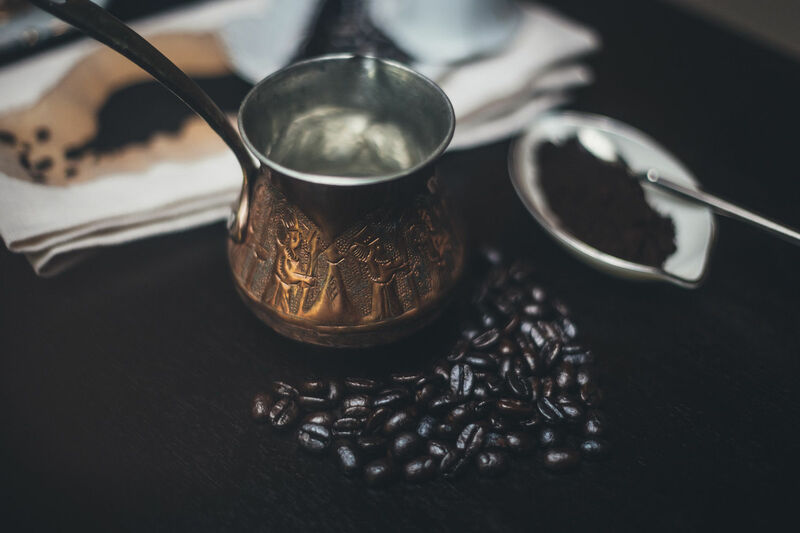 Turkish coffee isn’t strained like other coffees and so, leaves a sediment at the bottom of the cup after one drinks the coffee. This sediment gives a glimpse into the future or the past to the coffee readers. But how do coffee readers do it? You finish drinking it and place the saucer on the cup, covering it. Now, if your question is about love, you will be asked to place a ring on the upturned cup. If it is about wealth, a coin. At this point, the sediment must have almost shifted from the cup into the saucer, creating patterns on its solid white insides. Finally, these patterns will tell your future. So you are this ball of coffee fuelled energy, sitting opposite your coffee reader, waiting to hear your future. What now? How is the reading done? There are actually a few ways of doing it. First of all, the coffee readers divide the cup into sections and each section means different things. Furthermore, the cup is divided into either, left and right or as top middle and bottom. In a left and right division, the left side represents the present life while the right side represents the future. In addition, even the handle area and the rim area are considered. While the handle area talks about love, the rim talks about wealth. That’s one way of doing it. 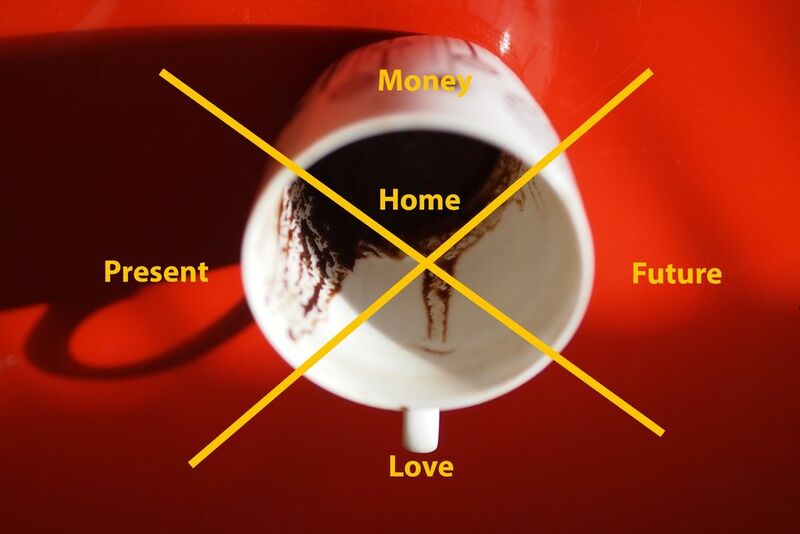 Some coffee readers divide the cup into three sections, as top, middle and bottom where the top represents the future, middle the present and the bottom the past. Now, you are a slightly amused coffee fueled, ball of energy. What do these divisions even mean? As a result of the patterns that form in these sections and what the patterns mean, your future could be told. Both the cup and the saucer form a part of reading. While the saucer stands for personal life the cup stands for professional. If the coffee grounds are light in colour, it means your wish would come true. If it is dark in colour, it means it won’t. The sediment patterns stark against the coffee cup’s white interior will form shapes and forms. Each form or shape would mean something. If one sees the shape of a heart being formed in the “Future” section of a cup love awaits in the future. But, it’s not as simple as that. It requires charm, intuition, practice and intense observation. That’s too many ways of looking at it. Which one is right? There is not one particular way that is “right” in this context. The symbols could be interpreted differently by different coffee readers and all of them could be right. It could be a name, a number or a symbol. But we all have the first coffee reader to thank who someday, somewhere, instead of clearing the cups saw something more than just coffee grounds. But, who stops us from doing it for the fun of it? So, here is a list of symbols and what they mean. Feel free to act the self taught coffee reader. As if coffee was any less loved, there is now a new reason to.